You know it’s a slow day in the search industry when folks are talking about cache: not working. It was a transient issue that most people didn’t see, but the right people knew about it a few hours ago, so it’s either already fixed or gonna be soon. Thanks to TW and SEW for noticing. Maybe everyone’s taking the weekend off before going to WebmasterWorld Vegas or AD:TECH Shanghai. is it connected in some way with jagger update? Thanks for clarifying that I am not crazy. Any reason why one of my clients http://www.dshummer.com continues to bounce around so much for “hummer tours”? Was it a kind of Google Crash with the Cache? Was it a bug or error, or did it happen because of a greater system change? As you said “fixed” i guess it did not happen with intend. Was the problem related to seeing very old pages in the index (1 to 2 months old on sites that generally stay very up to date)? I noticed that yesterday. It was most noticable when choosing “Cached Snapshot of Page” in the G Toolbar. I already thought something was up. I wish I were taking the weekend off!! Unfortunately I am trekking over from New Zealand so the jet lag is going to be a killer. No problem if its a no go – but I thought I would just ask. I’m surprised people just started noticing that the cache was working a little fuunny lately. I first noticed it wasn’t working properly a couple weeks ago when my website caches weren’t showing up one day but then appearing the next and having the date of being cached 2-4 days before. Hope all is well soon and back to normal again! thanks for keeping up with supplying us with important info. Good Luck at Las Vegas Matt !!! Matt – I can loan Google some cache, I know the company is hurting for money right now. Like Steve I’m hoping to get a site review during the star studded session with you and Tim Mayer. I think our site is site would have some good generic components and problems that might be helpful to the audience. CEREBRU, I don’t think so. Just a config file that needed to be changed. Not really Cache related – but to do with fetching a page. Checked with a server header and all seems OK on my end. I guess if this is a problem it would be simple enough for someone at the plex to bring up a report of Googlebot activity with no data fetched or something. Bit of a strange one. 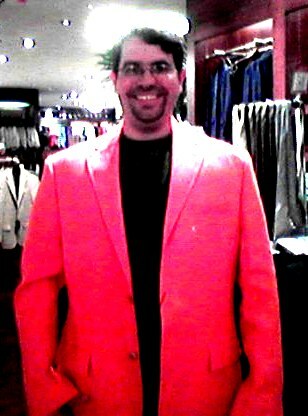 Excellent Blazer – I also think we have the same barber. Do you hit on 16 if dealer is showing an Ace? I don’t know if you’ll ever read this but I had a question for you coming from an amateur. I’ve been reading your blog and it has helped me understand a lot. I started my website 2 yrs ago on my own, taught myself html, etc. Took off slow but it really got going. It was making more than my 9-5. So…I just quit my 9-5 and then google completely sacked me! So, I am in a desperate situation. I started reading up on your blog last week after much searching. I had no idea invisible links were bad. I only had them on my home page connecting them to pages deep in my site just so they would be indexed faster, nothing malicious. So I deleted them all and just made a site map instead (duh, thaht was all I needed to do!). I don’t know any better, I am no SEO expert. I am a total amateur. I am still having a hard time with tables. ha! I follwed your instruction and emailed google. My site is still listed, but all of my many pages are no where to be found in search engine results when they used to be all over the place. My question is, how long does it take for them to lift any penalties and increase your search engine rankings if they were to do that? I am pretty desperate since I foolishly left my 9-5 since my web site was doing so well. There is no spam and Yahoo has me listed everywhere. Any words of wisdom? Thanks for your blog, it has been very helpful. You are wonderful. When I do “site:mysiteDOTcom golf” I get like 33,000 results. The latter being more accurate to my site. Rebecca – probably depends whether your site drop is related to the Jagger update or not. It could be just the normal ‘everflux’, which is a tremendous worry when it happens, but can reappear in the normal position after several weeks – last time it happened to me it was 9 weeks. This time I dropped, approximately 40/50 places for every search term, Oct 7th – the week before Jagger started and have never moved – so hoping it is ‘everflux. In this game you have to take the long term view and diversify to survive. Just one thing I can’t understand – Google has always stated that it indexes web pages – not web sites – but if this is the case how come a whole site, which usually has 1st/2nd page position for thousands of terms, can suddenly drop like this. mmmm the wonderful world of GG is a puzzle. It is indeed a puzzle! I can see still odd here. I can see few pages of April 2004 and October 2004 cache of online-web-solutions.com site. Matt — Thanks for providing such rich information. My home page was dropped from the Google cache on 11/10 and we have followed the advice posted on Google as well as your site, made some improvements and have submitted a reinclusion request. Is there an ETA for more fine tuning pertaining to the Google cache? I was very worried about the non existing cache issue, since I was checking the datas since my last big products relounch (end of August 2005) of new offers on my homepage ( I changed nearly 200 items ) Google checks daily and takes away a lot of informations, but nevertheless the new product-datas do not appear – I have seen only the old ones in the chache. Please, please help me – I am really desperate. I wonder if issues related with cache have influance on sites SERP’s or link values on those sites. If so cache problems can change results in G?? And maby those problems are seen by users and webmasters as a Jagger 3 influance ?? How does one find out if there is NOARCHIVE code at a level above the site level at an ISP when you don’t really know where to look? Thanks. Is there a correct way to contact google about a page that has gone from cache (drop from PR 8 – 0) after years of being indexed? This concerns a volunteer site where we can find no weird code or any NOARCHIVE code or anything. Might be at the ISP level (problem with former employee), but I don’t know where to look? The page still shows hundred of mentions, but no backlinks now, etc. It hasn’t affected whole site, just one important page? Old post I know, but I thought it might be worth asking you a Q on this as Serps seems to be a little thin on answers or explanations. An article here http://www.webpronews.com/topnews/topnews/wpn-60-20051110GooglesJaggerUpdateTheDustBeginstoSettle.html makes reference to a phenomenom whereby the pages cache is that of a diffferent unrealted domain. I’ll use one of my own as an example: http://www.precisioncompletion.com is a new unranked launch during Jagger and comes up correctly. Do a Google search for precisioncompletion.com and look at the cache – A PR7 and the wrong website! Usually this happens when a domain either cloaks badly or is 302’ed for some reason or another, but from reading what he says it would appear that he is suggesting that it is not of his doing, and that the blame lies with Google. Ive seen this happen on other sites too. Is this related to some kind of transient internal index shuffle related to document index ID’s or is it something more fundamental? I guess this is what happens when you attain critical mass! On a daily basis I enter my website name ttp://www.istoppedgambling.com into the google search to see how things are going. A few weeks ago I hired a website optimization compnay. Yesterday moring my Cache links similar to were there. All my other web pages and ranks are still working. All of my other websites are fine. Please check my source code to see if the website optimation did anything to it. I have worked hard on my site for two years and do not understand what’s happening to my site. Have you sen this before.